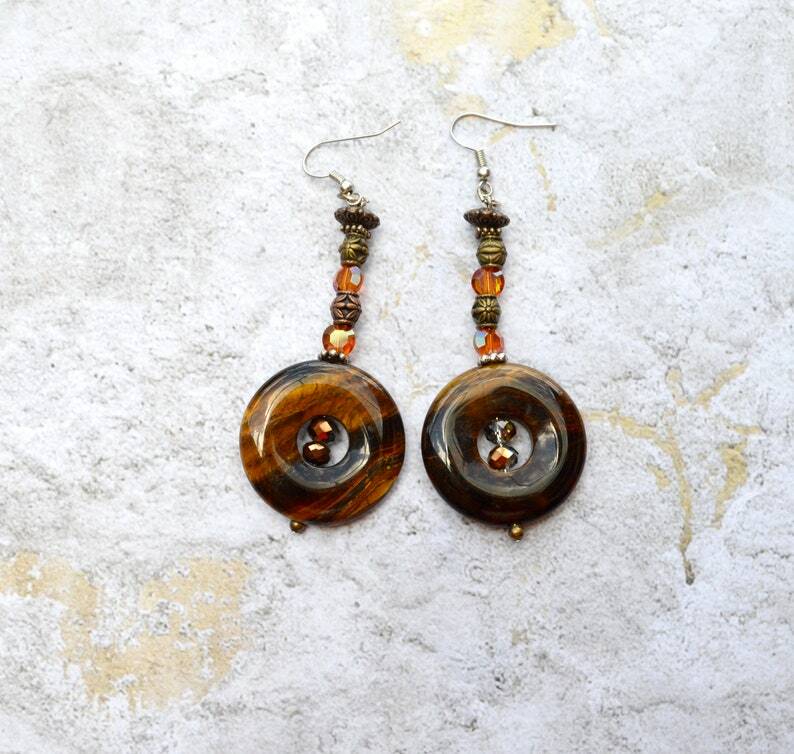 These earrings are made with agate pieces and crystal and copper beads. A beautiful addition to your earring collection. nickel free ear holders and hypo allergenic backs.